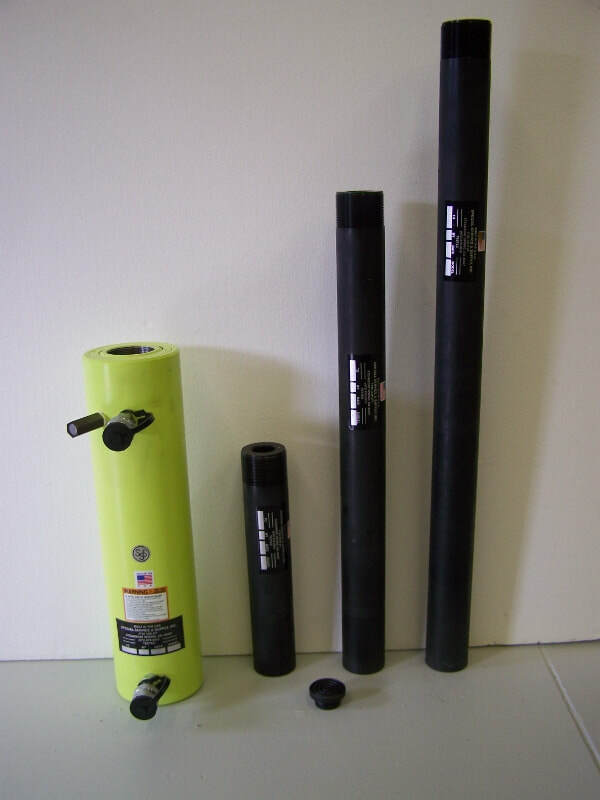 Special Service and Supply, Inc. now offers’ a wide variety of standard and custom hydraulic rams in multiple styles and types of cylinders that are Made in America. All cylinders are designed and manufactured under one roof in an ANSI/ISO/ASQ American National Standard Certified Facility and meet or exceed ANSI/ASME B30.1 safety standards and ISO 9001:2008, Standard for Fluid Power Cylinders. We can provide a hydraulic rams with cylinder capacities ranging from 5 tons to 1,000 tons with strokes from .44 inch to 48 inches to meet all of your lifting, spreading and pulling applications. All cylinders are provided with a lifetime warranty against workmanship and material defect. When your application requires customized and or high tonnage single or double acting hydraulic rams, Special Service and Supply, Inc. can fill those needs quickly and competitively with American Made hydraulic cylinders. Contact us with your requirements and we will provide you with pricing and delivery quotation for your individual requirement. Lifetime warranty against workmanship and material defect. Designed and manufactured in the USA under one roof. High flow couplers with ball check and dust cap. Key cylinder components are heat treated and coated to ensure desired reliability. Exclusive solid up-stop design to prevent piston blowout and eliminate deformation at full rated load. High quality specially designed hydraulic seals provide long life, dependability and optimum cylinder performance. Lock nut cylinders are designed to extend the load holding period with hydraulic pressure released. Call for shipping weights and delivery times. Most ram cylinders can ship via FedEx Ground ®. An example of our Custom Cylinders is this 55 Ton Double Acting Hydraulic Ram with 13”, 27” and 40” Extensions which was designed to meet the requirements of a crane maintenance company, is shown below. Give us your requirements and we can build a hydraulic ram to meet your individual needs at standard ram pricing..